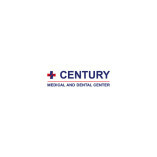 Century Medical and Dental Center is a dynamic, modern multi-specialty clinic delivering high-quality individualized health care in multiple convenient locations in Brooklyn: Sheepshead Bay, Flatbush and in the center of Metrotech Downtown... Brooklyn on Livingston Street. A collaborative clinic that gives busy individuals a personalized, measurable healthcare strategy to enhance their physical and mental performance. We offer an individualized approach to healthcare and lifestyle management which ensures our patients are able to reach peak performance of both body and mind.